And of all yogis, the one with great faith who always abides in Me, thinks of Me within himself, and renders transcendental loving service to Me—he is the most intimately united with Me in yoga and is the highest of all. That is My opinion. The culmination of all kinds of yoga practices lies in bhakti yoga. All other yogas are but means to come to the point of bhakti in bhakti-yoga. Yoga actually means bhakti-yoga; all other yogas are progressions toward the destination of bhakti-yoga. From the beginning of karma-yoga to the end of bhakti-yoga is a long way to self-realization. Karma-yoga, without fruitive results, is the beginning of this path. When karma-yoga increases in knowledge and renunciation, the stage is called jnana-yoga. When jnana-yoga increases in meditation on the Supersoul by different physical processes, and the mind is on Him, it is called ashtanga-yoga. And when one surpasses the ashtanga-yoga and comes to the point of the Supreme Personality of Godhead Krishna, it is called bhakti yoga, the culmination. Factually, bhakti-yoga is the ultimate goal, but to analyze bhakti-yoga minutely one has to understand these other yogas. The yogi who is progressive is therefore on the true path of eternal good fortune. One who sticks to a particular point and does not make further progress is called by that particular name: karma-yogi, jnana-yogi or dhyana-yogi, raja-yogi, hatha-yogi, etc. If one is fortunate enough to come to the point of bhakti-yoga, it is to be understood that he has surpassed all other yogas. Therefore, to become Krishna conscious is the highest stage of yoga, just as, when we speak of Himalayan, we refer to the world’s highest mountains, of which the highest peak, Mount Everest, is considered to be the culmination. It is by great fortune that one comes to Krishna consciousness on the path of bhakti-yoga to become well situated according to the Vedic direction. The ideal yogi concentrates his attention on Krishna, who is called Shyamasundara, who is as beautifully colored as a cloud, whose lotuslike face is as effulgent as the sun, whose dress is brilliant with jewels and whose body is flower-garlanded. Illuminating all sides is His gorgeous luster, which is called the brahmajyoti. He incarnates in different forms such as Rama, Nrisimha, Varaha and Krishna, the Supreme Personality of Godhead, and He descends like a human being, as the son of mother Yashoda, and He is known as Krishna, Govinda and Vasudeva. He is the perfect child, husband, friend and master, and He is full with all opulences and transcendental qualities. If one remains fully conscious of these features of the Lord, he is called the highest yogi. Bhaktir asya bhajanam tad ihamutropadhi-nairasyenamusmin manah-kalpanam, etad eva naishkarmyam. Then is there no one better than the yogi? No, that cannot be said. In this verse the possessive case of yoginam stands for the ablative as in the previous verse as it is more suitable to the context. He who worships me with faith is greater than all the yogis, who are greater than the jnanis, tapasvis and karmis. The devotee is not just superior to one type of yogi, but is superior to all types of perfected yogis— those in samprajnata samadhi, and those in asamprajnanta samadhi. Or another meaning is: Among all the processes (yoga) such as karma yoga, jnana yoga, tapa yoga, astanga yoga and bhakti yoga, he who worships me, he who is my devotee, has the best process (yuktatama). The karmis, tapasvis and jnanis are considered yogis. The astanga yogi is a better yogi. He who practices bhakti with hearing and chanting however is the best yogi. This verse, a concise statement of bhakti, which will be defined in middle six chapters, is the thread-like ornament on the neck of the devotees. 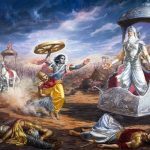 The first chapter is a summary of the Gita. The second, third and fourth chapters deal with niskama karma. The fifth deals with knowledge and sixth with astanga yoga. But the main topic of the first six chapters is karma yoga. 6.47 ‘Yoginam’, which is the genitive case, has to be taken in the sense of the ablative. In the verses beginning with, ‘He sees the self as abiding in all beings’ (6.29), Yogins at four degrees of attainment have been mentioned. Since the Yogin who is now mentioned in this passage cannot be included in the four types mentioned earlier, the genitive case specifying one out of many will be inappropriate here. In ‘api sarvesam,’ those who practise austerities etc., are referred to by the word ‘sarva’ (all). According to the principle set forth, here also the case ending has to be taken as ablative. The meaning therefore is that the Yogin who is now referred to, is the most integrated compared with those mentioned earlier and all other types. Compared to this Yogin, the differences in point of superiority and inferiority among the other Yogins such as the performers of austerities etc., are of no significance like mustard-seeds compared to Mount Meru. 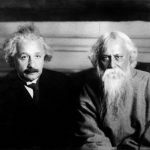 Even though there exists smallness and bigness in relation to one another among mustard-seeds, still when compared to Meru, such distinctions among them have no significance, as they are all small compared to Meru. I consider him the most integrated who, with his innermost self, has his mind fixed on Me, on account of My being the only object of his overflowing love and also on account of his having a nature which cannot be supported by anything other than Myself; who has ‘faith,’ i.e., who strives rapidly to attain Me because of his being unable to bear a moment’s separation from Me on account of My being very dear to him; and who ‘worships Me,’ i.e., serves Me with devotion and meditates on Me — Me whose sportive delight brings about the origination, sustentation and dissolution of the entire cosmos filled with multifarious and innumerable objects of enjoyment, enjoyers, means and places of enjoyment; who is untouched by any evil without exception; whose divine figure is the treasue-house of innumerable multitudes of auspicious, unlimited and unsurpassed attributes such as knowledge, power, lordship, energy, potency and splendour; whose divine figure is the treasure-house of infinite, unsurpassed attributes agreeable and highly worthy, such as radiance, beauty, fragrance, tenderness, pervading sweetness and youthfulness which are uniform, inconceivable and divine, wondrous, eternal and flawless; whose essential nature and qualities transcend all thought and words; who is the great ocean of compassion, condescension, paternal love and beauty; who is the impartial refuge of all beings without exception and without considerations of any difference; who is the reliever of the distress of supplicants; who is the great, unfathomable ocean of affection for supplicants; who has become visible to the eyes of all men without abandoning His essential nature; who has incarnated in the house of Vasudeva; who has made the entire would illumined with His limitless and excellent glory; and who has satisfied the entire universe with the impeccable glory of beauty. The idea is that I, who by Myself alone see all things directly as they are, look upon him, the last mentioned type of Yogi here, as superior to all other types mentioned earlier. Amongst all yogi’s or those perfected in the science of the individual consciousness attaining communion with the ultimate consciousness who are engaged in yama, niyama or self control etc. Lord Krishna is declaring that His devotee is superior to even the greatest yogi. One who is possessed of full faith in Him as the Supreme Lord of all, with their mind focused within and relishing meditation on Him is the greatest yogi of all. Therefore be Lord Krishna’s devotee is the purport. I worship the Supreme Lord Krishna, the embodiment of supreme bliss, the treasure of those following the path of devotion, who taught the yoga of the atma or soul to the greatest of devotees. From the previous verse the word yogi means one perfecting the science of the individual consciousness attaining communion with the ultimate consciousness. The word jnanibhyo means the worshipers of the Brahman or the spiritual substratum pervading all existence. The word tapasvibhyo means the performers of rituals and austerities. Superior even to these different types of yogis is one who has achieved atma tattva or realisation of the soul. The Garuda Purans states that: In comparison to all yogis and aspirants, meditation on Lord Krishna or His Vedically authorised incarnations is 100,000 times superior to meditation on others. 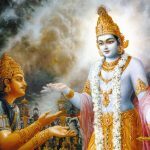 In the Narada Purana it states: Meditation with knowledge of the Supreme Lord Krishna is infinitely superior to meditation without knowledge of the Supreme Lord Krishna. Better than even meditation with knowledge of the Supreme Lord Krishna is direct perception of the Supreme Lord Krishna. Better than even direct perception of the Supreme Lord Krishna is communion with devotion to the Supreme Lord Krishna. Superior to austerities and penance is meditation. Better than meditation without realisation is meditation with realisation. 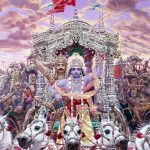 For those who meditate with realisation that are not devotees of Lord Krishna or His Vedically authorised incarnations, whatever they meditate on has no efficacy. The persons who see similarity between other gods and the Supreme Lord Krishna, the persons who do not see Lord Krishna as superior to all other gods, the persons who believe other gods to be more elevated than the Supreme Lord Krishna, those person who are indifferent to the Supreme Lord Krishna and those persons who are irreverent and spiteful to the Supreme Lord Krishna are all classified as non-devotees. Among the devotees who do not possess the offensive mentality previously elucidated. Those special devotees who worship the Supreme Lord Krishna exclusively with love and devotion are the most elevated of all. Sri Dattatreya a lila avatar or incarnation of the Supreme Lord Krishna states: The Supreme Lord is installed directly in the center of a Vaisnava or Brahmana family as the leading member and is thus lovingly and devotedly worshipped as such. After declaring that a yogi or one perfecting the science of the individual consciousness attaining communion with the ultimate consciousness is the best of all ascetics and others mentioned in the previous verse. Lord Krishna concludes this chapter by declaring that the yogi which is best of all is the one who is endowed with faith implicitly following the instructions of the bonafide spiritual master in Vedically authorised disciplic succession and devoted wholeheartedly to worshipping internally and externally Lord Krishna, the Supreme Lord above all Lords, the ocean of unlimited auspicious attributes such eternity, knowledge and bliss as well as affection, compassion and mercy, who is the refuge of all, the bestower of all benedictions and auspiciousness, the destroyer of all obstacles and impediments , who incarnated as Himself in His original spiritual form. Lord Krishna is the primal cause of all creation and the ultimate controller of all living beings. Lord Krishna is described by names like Paramesvara the Supreme Controller, Bhagavan the possessor of all opulences and potencies, Purusa the highest personality etc. as well as names like Govinda meaning He who is the object of delight for the cows and the senses, and Vasudeva or He who is all pervading and from whom everything manifests, and Hari meaning He who dissolves all inauspiciousness and captures by love the hearts of His devotees. Lord Krishna Incarnates to fulfil the aspirations of His devotees who are constantly worshipping Him by adoration, salutation, meditation etc. with their minds concentrated solely in exclusive devotion to the omniscient and omnipotent Supreme Lord Krishna without ever any desire for anything in return for their devotion. Such thoughts spontaneously arise in the mind by the teachings of the bonafide spiritual master in authorised disciplic succession, whom one has the grace to serve as a result of abundant meritorious activities performed in innumerable previous births. This person is immersed internally upon the Supreme Lord Krishna with exclusive devotion. Such a person is considered to be the most elevated and the best of all yogis. 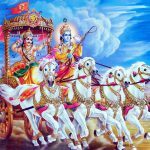 The understanding is that Lord Krishna is advising Arjuna to also become the best of all yogis. yoginām — of yogīs; api — also; sarveṣām — all types of; mat-gatena — abiding in Me, always thinking of Me; antaḥ-ātmanā — within himself; śraddhā-vān — in full faith; bhajate — renders transcendental loving service; yaḥ — one who; mām — to Me (the Supreme Lord); saḥ — he; me — by Me; yukta-tamaḥ — the greatest yogī; mataḥ — is considered.